Are you looking for some financial relief from the regulatory issues you face as an American manufacturer? 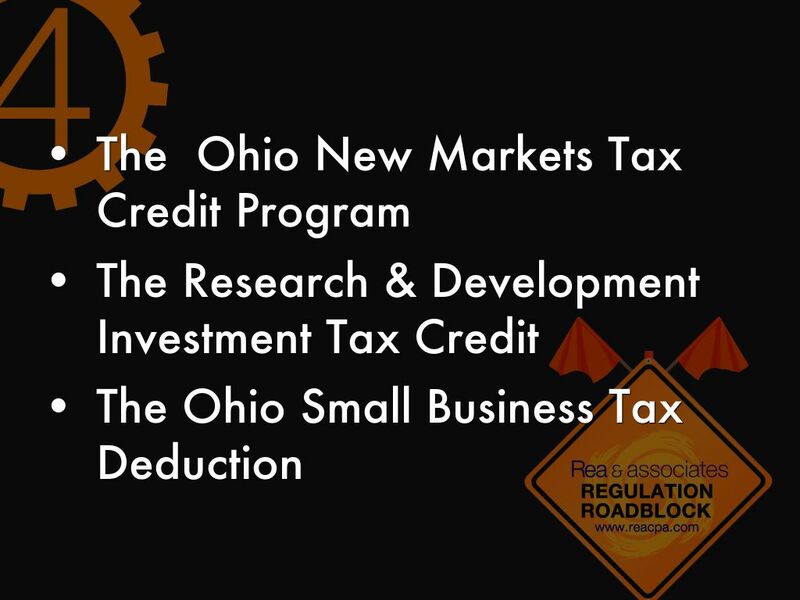 Talk with your financial advisor and consider how the following detours could work for you and help you find money to reinvest into your Ohio manufacturing business. 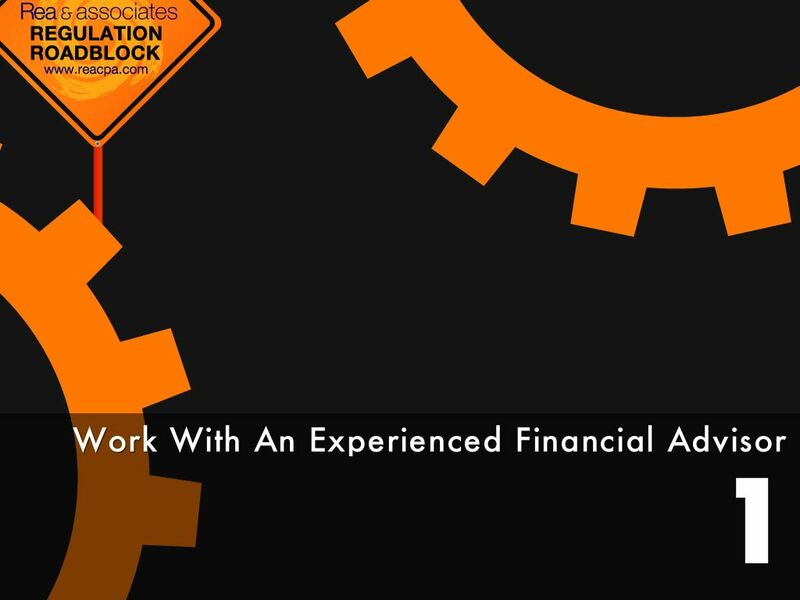 Learn more about the financial advice and business consulting services offered by the manufacturing experts at Rea & Associates at http://www.reacpa.com/contact-us. Are you looking for some financial relief from the regulatory issues you face as an American manufacturer? 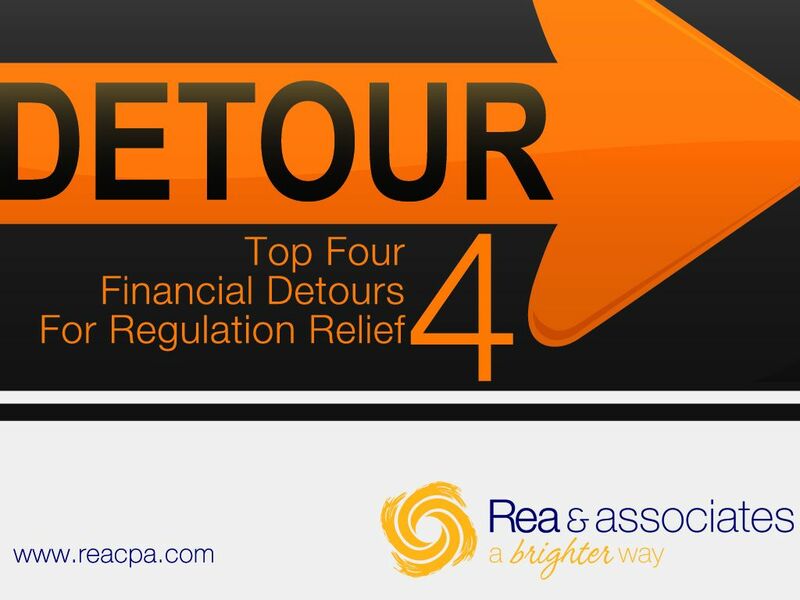 Check out this slideshow to find out the top 4 detours you can use to find your way around the regulation roadblocks currently holding up manufacturing companies throughout Ohio. 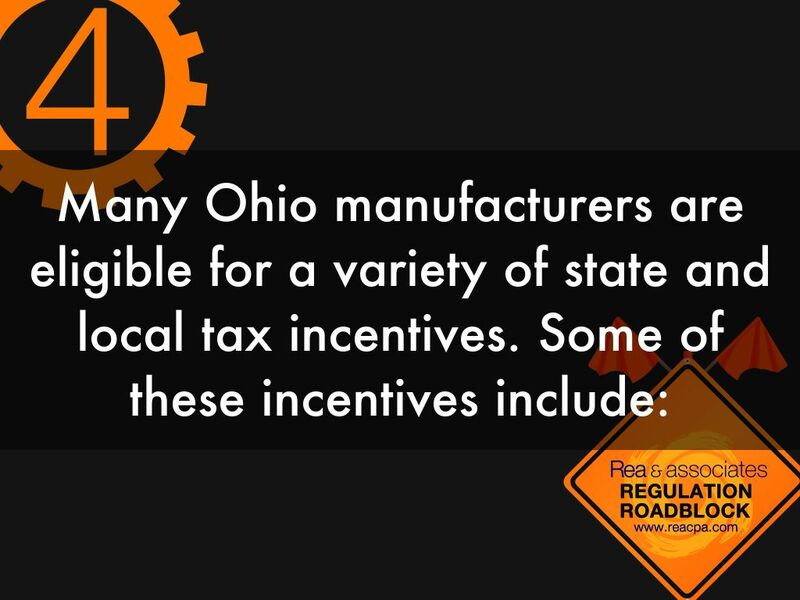 When you taking advantage of these tips can help you find the money you need to reinvest into your Ohio manufacturing business. 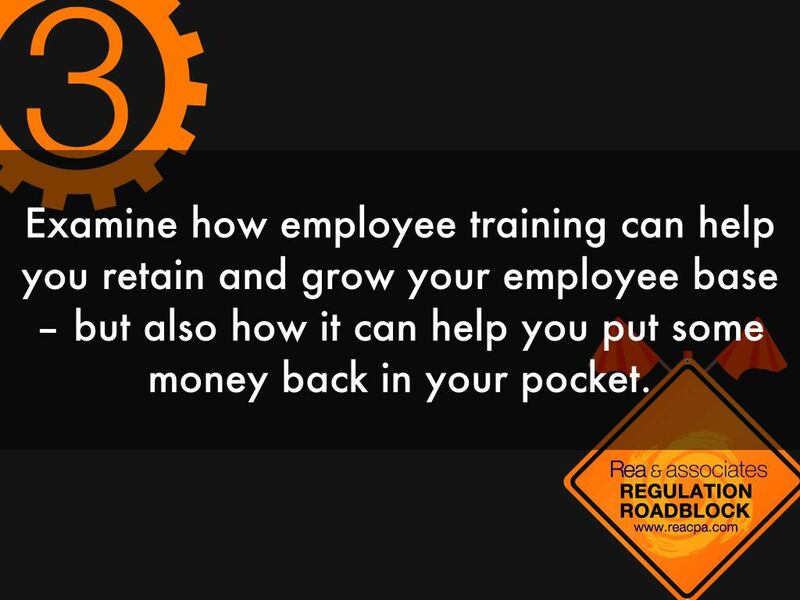 Examine how employee training can help you retain and grow your employee base – but also how it can help you put some money back in your pocket. Ohio offers an Ohio Training Grant to eligible businesses, as well as the Ohio Incumbent Workforce Training Voucher Program, which can reimburse businesses for up to 50 percent of eligible employee training expenses. 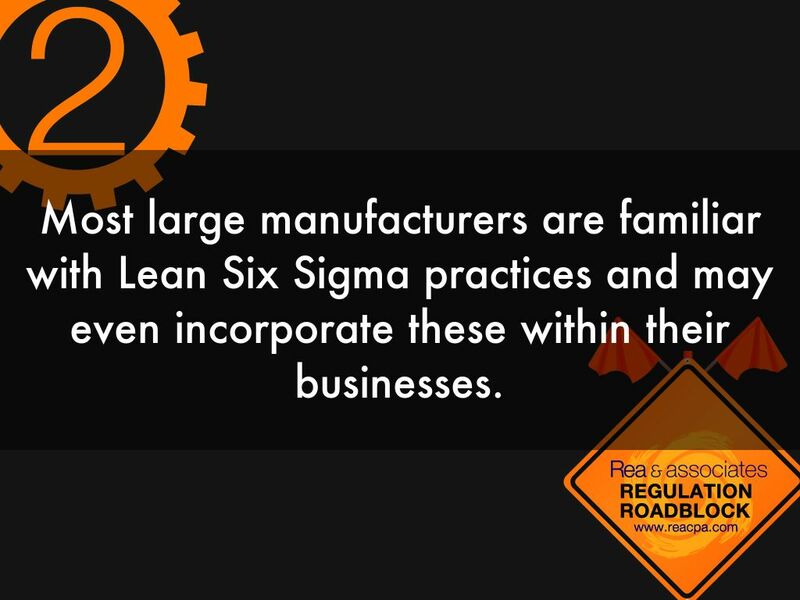 Most large manufacturers are familiar with Lean Six Sigma practices and may even incorporate these within their businesses. 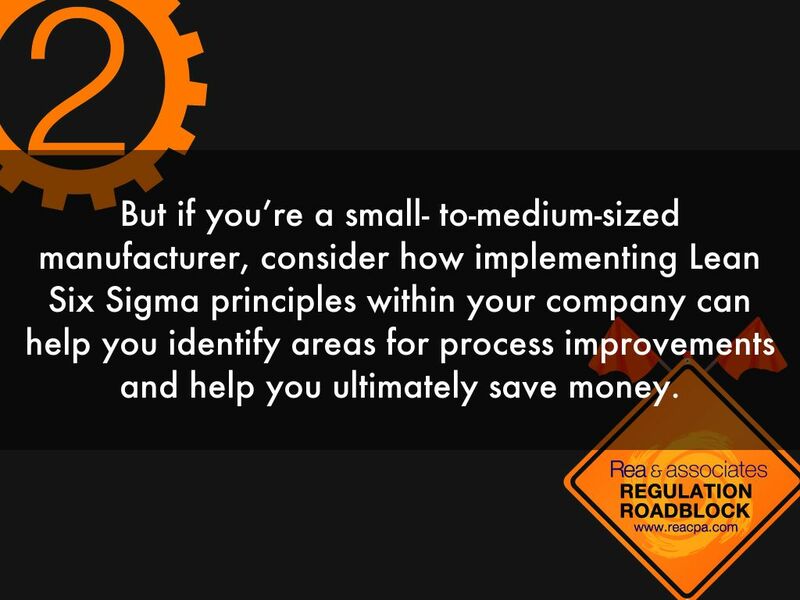 But if you’re a small- to-medium-sized manufacturer, consider how implementing Lean Six Sigma principles within your company can help you identify areas for process improvements and help you ultimately save money. help you ultimately save money. 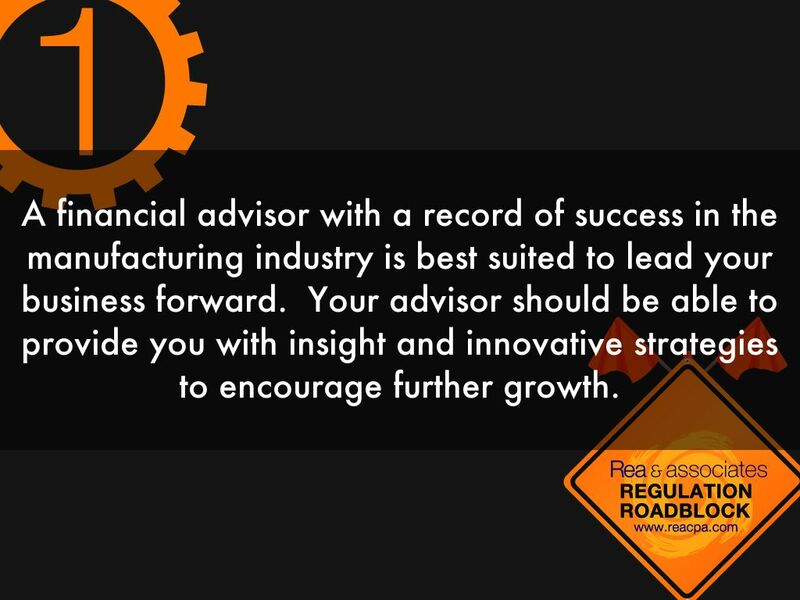 A financial advisor with a record of success in the manufacturing industry is best suited to lead your business forward. Your advisor should be able to provide you with insight and innovative strategies to encourage further growth. 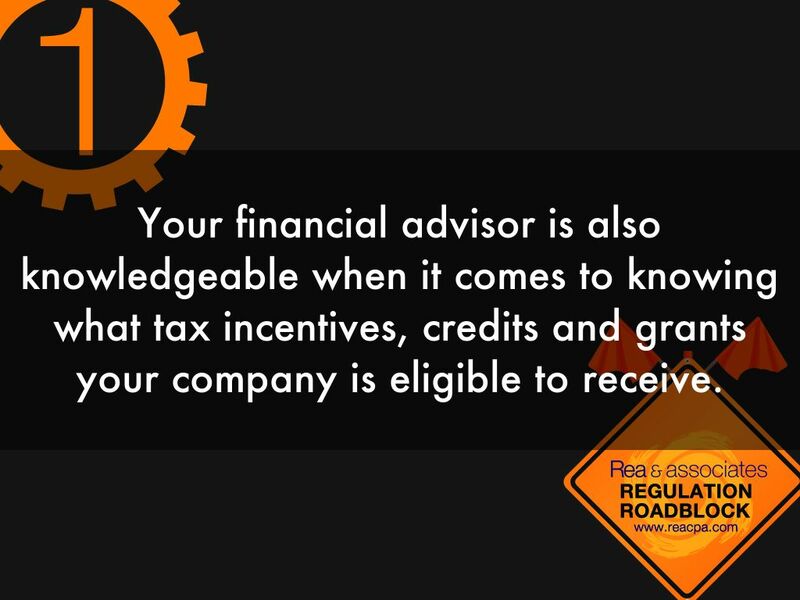 Your financial advisor is also knowledgeable when it comes to knowing what tax incentives, credits and grants your company is eligible to receive. Stall Your Company's Growth and Financial Success. 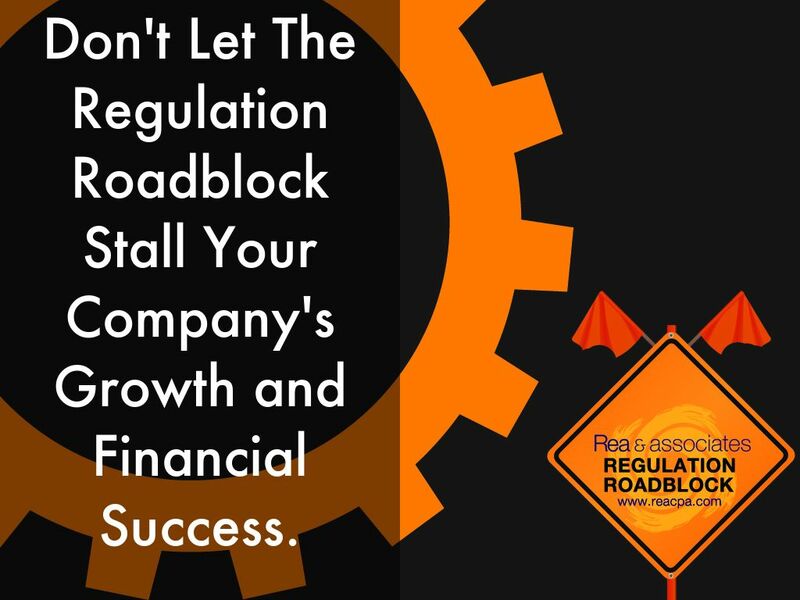 Don't Let The Regulation Roadblock Stall Your Company's Growth and Financial Success. 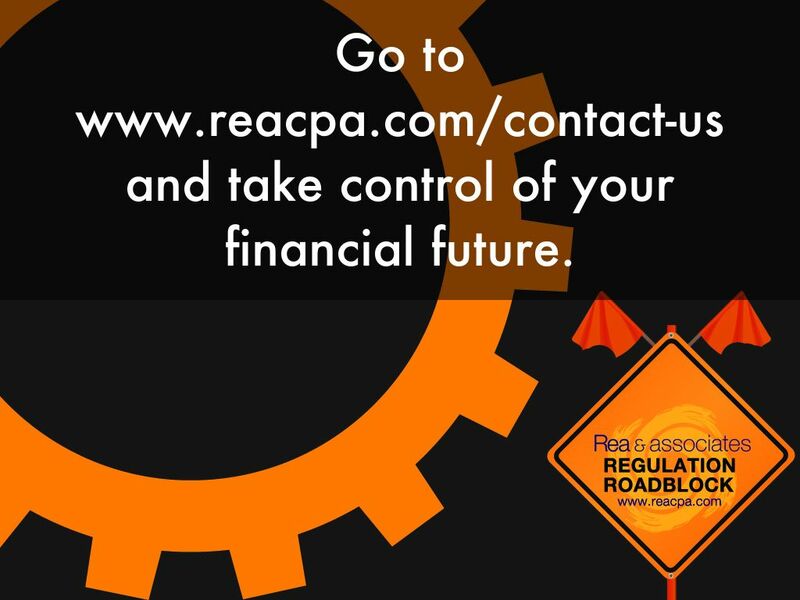 Go to www.reacpa.com/contact-us and take control of your financial future. 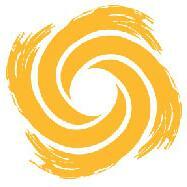 Take control of your manufacturing business today. Your Rea team will also include Lean Six Sigma Black Belts and Green Belts who are skilled when it comes to identifying opportunities to incorporate Lean into your daily processes. To learn more about the Lean Six Sigma Team at Rea, visit http://www.leancpa.net/team.